I'm not a fan of these "Keep Calm" posters. Except for maybe THIS ONE. And definitely THAT ONE up there. I definitely agree with you on posters number 2 qnd 3. But I will never understand why parents are so anxious to get rid of their kids ever. I actually love every minute I spend with my daughter! Less than one week here! And my baby's going to preschool for the first time. It's only 1/2 days, 2 days a week, but it feels like SUCH a big deal to be sending her out into the world at last. 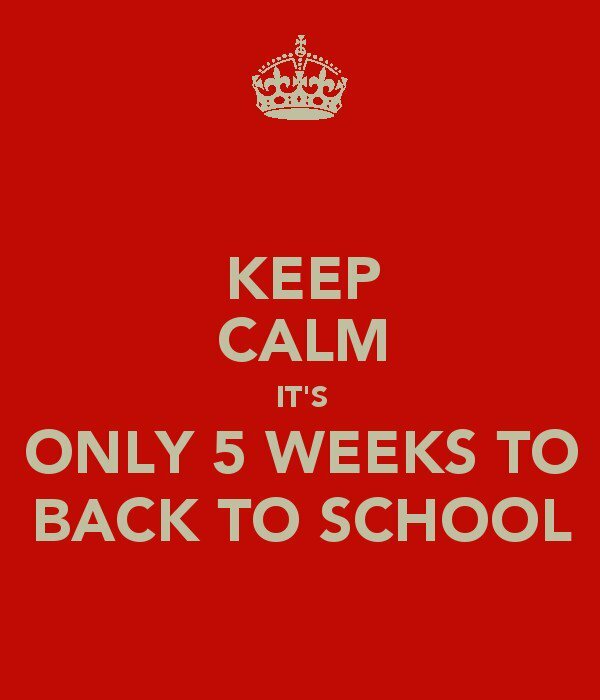 "...it's ONLY 5 WEEKS TO BACK TO SCHOOL" doesn't mean I'm anxious to be rid of my kids. What I AM anxious for is more structure & less chaos. Less "busy" & more "order". 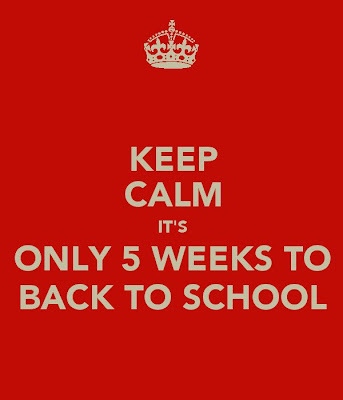 And, sure, to hear less bickering & arguing between my two kidlets---which seems to happen as summer comes to its end. I DO love to be around my kids. But not all the time. This mommy needs a break every once in a while. I'd go crazy if I didn't have my "Nikki" time. When school is in session, I get a little bit of sanity & a chance to regroup & get my thoughts & plans in order. And I'm a better mommy to my girls because of it.